College graduation is an important milestone in a person’s life. They have their entire future in front of them and can’t wait to take charge. Unfortunately, many individuals leave school with student debt and other bills to pay, and this can affect their future. Finishing school brings on a whole new set of responsibilities and learning to prioritize where money goes is something students often struggle to accomplish. With the right advice, every graduate can go on to have a successful future and few money worries. 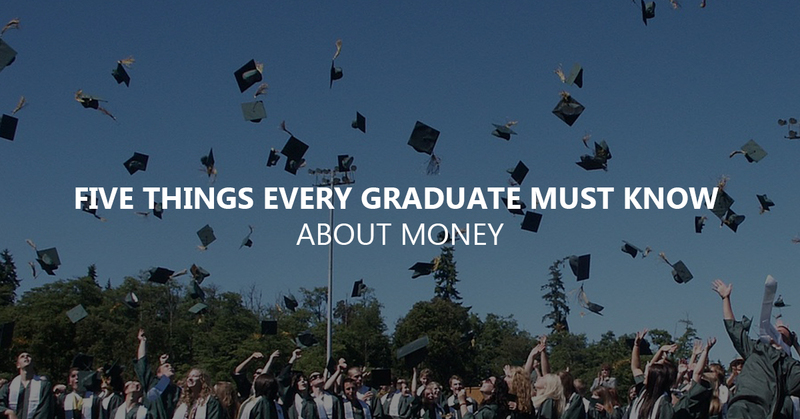 Here is what every graduate should know about money. A person needs to know where their money is going at all times, yet speak to many older individuals and they’ll state they don’t know why they are always broke. This task requires nothing more than a pencil and paper, thus everyone can create a budget today. Many people do take this step for a few months, only to give up because they keep overlooking certain items. They become frustrated and feel like they are never going to get it right. Don’t make this mistake. Obtain advice from others on categories that should be included in the budget, and stick with the plan. Over time, it will become easier and the budget will be less fluid and most set. Make saving a priority. Start by creating an emergency fund, one that is strictly used for emergencies. This doesn’t mean buying a concert ticket when a great deal comes up, yet many young adults feel it is. To ensure the money is spent appropriately, consider making a list of true emergencies and only use the money when one of these dilemmas arise. Again, consider seeking the advice of older adults if you believe your idea of an emergency may not be the same as others. Once this emergency fund has been established, it’s time to create a plan to pay off debt and begin investing. Many methods may be used to eliminate student loan and credit card debt that was accumulated during the college years. Some individuals prefer to list their debts from smallest to largest and pay them off in that order, using a technique known as the debt snowball. With this method, the individual makes the minimum payment on all debts other than the smallest. Any extra money that is available for paying off debt is put toward the smallest debt to pay it off quickly. Once this debt has been eliminated, any funds that were going to it are now put to paying off the next debt on the list. With this method, individuals rapidly see progress, which helps to keep them motivated. Another option is to list the debts from the highest interest rate to the lowest. The person then tackles the debt with the highest interest rate to pay it off quickly. Once this debt has been eliminated, they move on to the next debt and do the same, paying every extra dime to the bill being worked on until all are gone. This method often takes longer for progress to be seen than the debt snowball method, yet some prefer to go this route. Each graduate needs to determine which method they are most comfortable with, but a plan needs to be made and followed for the best results. One thing to keep in mind is any progress is good. If one plan doesn’t appear to be working, try others. As long as you are moving forward and paying down debt, without taking on new debt that is more than is being paid off, you are ahead of many of your peers. Every person needs to live below their means, yet many seem to forget this. 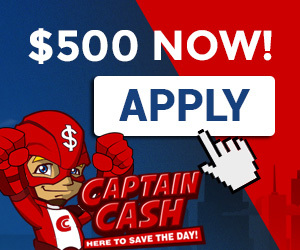 They obtain credit cards, only to find they can’t make the necessary payments, or buy more house or car than they can truly afford, once maintenance, repairs, insurance and other expenses are added. Learn about debt, how interest is calculated and how much it truly adds to the cost of the item being purchased. Graduates need to learn about investing and start putting money away for the future. Although retirement may seem a long way off when a person leaves college and gets their first job in their field of choice, but it’s closer than most imagine. One thing to consider when choosing a job is the retirement funding options available. For example, many employers will now match contributions to a retirement account, and a person may wish to seek employment with one of these companies. Doing so provides a 50 percent return on any investment made in the retirement fund. Keep in mind, however, that some employers make use of vesting, a process in which certain requirements will need to be met before this contribution is made. Start managing your money as soon as you graduate. Although other bills may seem more pressing, saving for the future is one task that should never be delayed. When the time comes to purchase a home, get married or have children, the money saved early in life will be greatly appreciated. As Dave Ramsey says, “Live like no one else so you can live like no one else”. If you do so while you are young, you’ll have more money later in life and the financial freedom you dream of. This feeling is one that cannot be replicated, so make this a priority today.